While I can’t say I don’t watch football, I’ll enjoy a game if it happens to be on. I don’t always know what’s going on, and who is who and whatnot, but I do know enough to be able to watch a game and have a general understanding. I joined a survivor football thing, which just means I’m watching with interest. Let me tell you, $10 is enough to start yelling at the TV. This is my second year in this pool. Last year I was out the first week. This year I made it into three weeks before dropping out (Darn you Vikings!). Improvement right? Maybe next year I’ll try for 5 weeks! Football also means it’s time for chili. And to me, chili means cornbread. 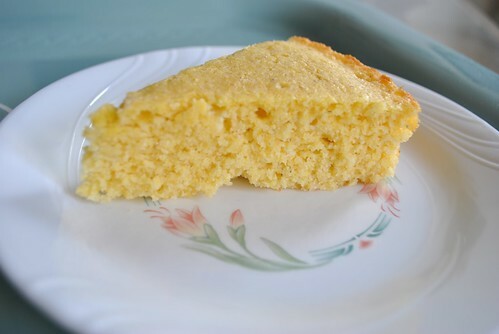 I found a cornbread recipe that I think is perfect for this time of year. A bit more labor intensive, but totally worth it if you love corn. And I love corn. 2 large eggs + 1 egg yolk. Preheat oven to 400 degF. Whisk together the cornmeal, flour, baking powder, sugar, baking soda and salt together. 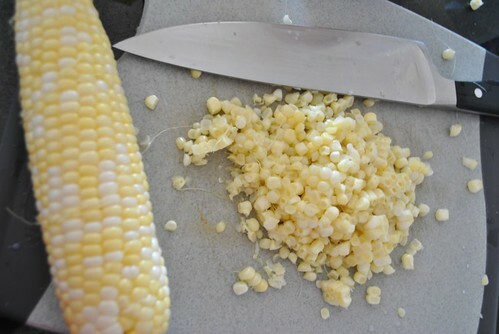 In a food processor, puree the corn kernels until smooth. Pour into a medium saucepan and cook over medium heat, stirring constantly until thick and deep yellow (5-8 minutes). Take off the heat and add 5 tablespoons of butter and whisk until incorporated. I use a nonstick pan, so at this point, pour this mixture into a large bowl. Add eggs and egg yolk into that bowl and whisk until incorporated. Add in the cornmeal mixture and fold with a rubber spatula until combined. 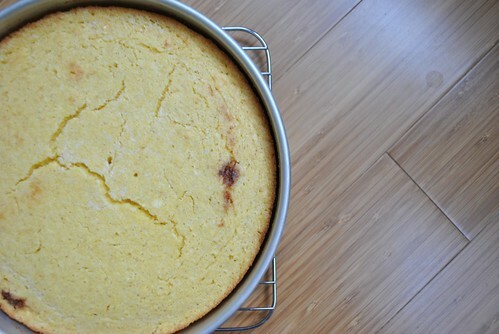 I don’t have a skillet, so I added the last tablespoon of butter into a 9″ cake pan and threw it in the oven for about 3 minutes, until the butter was melted and the pan was hot. Take the pan out of the oven, and swirl the melted butter around and pour the batter into the pan, and return to the oven. Bake for about 23 minutes and start checking with that toothpick (done when clean). Remove from oven and let cool on wire rack for 5 minutes before flipping out (and back over again) and letting it cool for another 20 before digging in and topping with chili. Now, I can’t seem to remember if I ever added the flour when I made this. I don’t think I did, or at least I really can’t remember ever doing so. If I didn’t then, it came out really well without having any flour in it. I really like it. You can really taste the corn. It’s moist without being gummy, and there is still that lovely cornmeal texture and crumb without being so crumbly that it starts to fall apart the moment you touch it. It goes great with chili, a bit plain on it’s own. Good luck to everyone with their pools, fantasy leagues and whatnot this year!! This entry was posted in Bread, Uncategorized and tagged corn, Cornbread, Football. Bookmark the permalink.